Organic compounds are abundant in the environment, both as the products of natural, mainly biological, activity and as waste materials and pollutants from industrial processes. Organic compounds generally may be considered to be substituted hydrocarbons that are made up of straight or branched chains, rings, or combinations of these structures. The hydrocarbon skeletons are modified by the presence of multiple bonds and substituents (oxygen, nitrogen, halogen, etc.) that markedly influence the reactivity of the molecules. Unsub-stituted hydrocarbons are relatively inert, particularly toward the polar compounds in the environment. 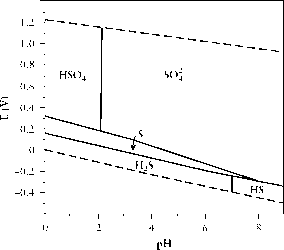 All hydrocarbons are thermodynamically unstable with respect to oxidation to CO2 and H2O, but the rate of this process is very slow except at elevated temperatures. However, the energy released by reaction with oxygen (about 12kcal/g or 4500 J/g for saturated hydrocarbons) is very important for the generation of heat and electricity and for transportation in our industrial society. Organic compounds are the basis for life on earth. The synthesis of organic compounds in living systems is catalyzed by other organic substances called enzymes. The degradation of organic compounds often follows a pathway that is the reverse of the synthesis, and the reactions are catalyzed by the same or similar enzymes. Many microorganisms utilize simple organic compounds for their growth, and their enzymes are responsible for the degradation of these substances. As a consequence, any compound that is synthesized by a living system is readily degraded biologically and is said to be "biodegradable." However, many of the carbon compounds that have been formed by geochemical reactions (crude oil, coal) or industrial chemical processes (polyethylene, DDT) are not readily degraded and are frequently regarded as pollutants. These compounds will accumulate in the environment unless their degradation is catalyzed by a microbial enzyme or they are rendered more susceptible to enzymatic degradation by some other environmental process discussed in Section 8.2. These environmental processes are effective only insofar as they render the pollutant more susceptible to biodegradation by introducing appropriate functional groups that can serve as points of microbial attack. Since hydrocarbons are considered to be the parent compounds for organic materials, we shall consider them in this chapter. Coal, a potential source of hydrocarbons, is also discussed. Other organic compounds will be considered in later chapters. No attempt is made to deal with the general chemistry of the various classes of compounds and functional groups except as these reactions are important environmentally. It is assumed that the reader has some familiarity with the properties of hydrocarbons and their simple substituted derivatives.